These keynotes take a deeper dive into the themes and topics from each day’s keynote in the General Session Theater. These must-see keynotes feature influential speakers from the SAP leadership team, strategic partners, and some of SAP’s largest customers. Seating in the Best-Run Theater is open and these will be the most popular sessions, so we recommend arriving early. Add these popular keynotes to your agenda NOW to ensure you don’t miss out. Click on the image to find out more about the speaker. Previously, Judith ran an organization which consults with start-ups, venture capitalists, and accelerators on embedding diversity and inclusion into the foundations of their organizational cultures. She has also been instrumental in the development of the ReFrame Project, a partnership between the Sundance Institute and Women and Film. The project addresses systemic barriers in the Hollywood ecosystem, and encourages gender parity at every level in film, TV and media. In addition, Judith was the Diversity Programs Manager at Google where she directed the unconscious bias work stream, and built strategies for recruiting, retention, and advancement of the company’s technical employees. She helped to implement Google’s widely praised unconscious bias training program which was the first to call out hidden prejudices as a major contributor to the systemic lack of diversity in the tech industry. Greg Tomb is President, SAP SuccessFactors, overseeing the end-to-end business for SAP's Human Capital Management Solutions. Previously, Greg was EVP, Global Services Sales, responsible for bringing SAP’s vast portfolio of Services, including services software, premium support services and the HANA Enterprise Cloud to customers worldwide. He assumed this role in 2012, to more closely align the Services and License Sales organizations to deliver a streamlined end-to-end customer experience. Greg also served as EVP, Global Cloud Sales & Go-to-Market, where he focused on strengthening SAP’s presence in this growing market by providing global oversight to cloud-focused sales and services resources across SAP, prior to the company’s acquisition of SuccessFactors. To guide the company’s continued advancement as a cloud market leader, Greg and his team focused on enabling organizations worldwide to take advantage of new, innovative SAP applications that bring immediate value to sales, procurement, human resources and finance organizations. Prior to returning to SAP in 2011, Tomb served as CEO and president of Vivido Labs Inc., an on-demand mobile applications company, and certified partner of SAP that develops applications that enable enterprises to enhance productivity for sales organizations and management. A long-time SAP executive, Greg has served in a number of senior roles at SAP, including president, SAP North America and EVP leading Services in both the North and Latin America regions, as well as US Enterprise Sales. Greg has more than 20 years of experience focusing directly on sales and implementation of enterprise business applications. 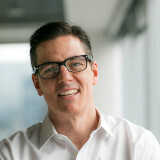 In addition to his successful career with SAP, Greg has held management positions at both Accenture Consulting and Comergent Technologies, Inc.
Greg holds a bachelor’s degree in Engineering from Penn State University and a Master’s degree in Business Administration from Loyola University of Chicago. To compete in today’s volatile global economy requires an agile digital supply chain. Hear how SAP customers have implemented Industry 4.0 to enable a perfect experience for their customers and drive sustainable practices and growth through business innovation. Hans Thalbauer is globally responsible for solution management and the go-to-market functions for SAP’s Digital Supply Chain and Industry 4.0 solution portfolio. As supply chain industry veteran who specializes in defining new markets and positioning organization to own them, Hans has served in a broad range of business leadership roles in his tenure at SAP. He most recently spearheaded SAP’s successful launch of the company’s Industry 4.0 solution portfolio by addressing the requirements of Chief Operating Officers and Chief Supply Chain Officers. Hans has more than 18 years of experience with SAP, holding positions in development, product and solution management, as well as go-to-market functions. Hans engages in creative dialogue with businesses and operations worldwide, addressing customer needs and introducing innovative business processes that take companies beyond their fullest potential, so they can execute on the next level of innovation. 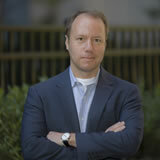 Hans holds a degree in Business Information Systems from the University Vienna, Austria and is based in Palo Alto, CA. 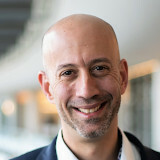 Thomas Saueressig is president of SAP Product Engineering and has global responsibility for all SAP’s digital core products from development to delivery, including product management. This also includes responsibility for SAP’s flagship product SAP S/4HANA, as well as for industry solutions, design and user experience of SAP products across the entire portfolio, product enablement, and the SAP’s Labs Network. Furthermore, Thomas is responsible for SAP’s global cloud infrastructure providing a consistent level of scalability, reliability, performance, security, and data protection across all SAP solutions for SAP’s customers. Before he went into the role as president of SAP Product Engineering, Thomas Saueressig was Chief Information Officer and Global Head of IT Services. In his role as CIO, he was a trusted advisor for SAP and its customers and responsible for SAP’s IT strategy and its execution. Under his leadership, SAP IT has taken a cloud-first approach to becoming an agile, user-centric, and business-driven organization that ensures a great user and customer experience. The organization has optimized business processes by utilizing the latest technologies and innovations, providing a modern workplace with high customer and end-user satisfaction. In addition, the team also pioneered new business models. 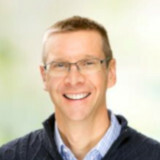 Having started his career in SAP’s consulting area for CRM implementations, Thomas Saueressig then built and led the Enterprise Mobility organization including all necessary cross functions, before he then headed the entire IT Project Delivery and Client IT organization on a global level. Thomas Saueressig was honored to be included on Fortune’s 40 Under 40 list in 2016. He has a degree in Business Information Technology from the University of Cooperative Education in Mannheim (Germany) and a joint executive MBA from ESSEC (France) and Mannheim Business School (Germany). 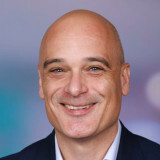 Stefan Hoechbauer has been Global President of Digital Core within the Global Customer Operations since July 2018. He is responsible for leading the global go-to-market across SAP’s portfolio of digital-core solutions, including SAP’s flagship, the intelligent ERP solution SAP S/4HANA Cloud. He reports to Jennifer Morgan, Member of the SAP Executive Board. Hoechbauer has held various leadership roles at SAP. Before being appointed President Middle & Eastern Europe in 2015, he was Chief Operating Officer of the MEE region in 2013, and Chairman of SAP CIS (Commonwealth of Independent States) in 2014. Earlier, Hoechbauer was Senior Vice President of Sales, Emerging Markets at SAP. He also served as Managing Director of SAP Switzerland. Hoechbauer started his SAP career in 2005 as Senior Vice President of Sales and Managing Director of Germany. Hoechbauer has a long track record in the technology sector. Before joining SAP, he was Senior Vice President and General Manager for Central Europe at PeopleSoft. Previously, he held various sales and managerial positions at Oracle and IBM, where he served as Senior Vice President. He was also General Manager of the Software Group. 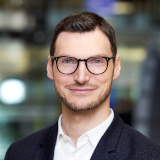 Stefan Hoechbauer holds an MBA from INSEAD and a Master’s degree in business administration from the Ludwig Maximilian University of Munich. There’s no great customer experience without an excellent product experience. A digital supply chain opens up new opportunities to put customers at the heart of business. Hear first-hand from SAP and our customers how digitizing the supply chain helps drive innovation, build new revenue streams, and create reimagined business models. From design to operate. Hala Zeine is the President of Digital Supply Chain and is responsible for running a global Line of Business (LoB), comprising of development and go-to-market for SAP. This team provides innovative Digital Supply Chain and Manufacturing solutions, including co-innovation, product design and go-to-market for all products within the LoB including manufacturing, logistics, start-up programs and an eco-system of partners. Hala has extensive expertise of IT industry, technology and the supply chain business, and is passionate about making a real difference in solving customer’s business problems and helping them to implement digital solutions that enhance and support their mission critical business processes. Previously Hala was the chief business development officer at SAP, responsible for defining the portfolio investment strategy, commercialization direction and digital transformation for SAP. In this role, she led SAP’s portfolio, pricing and commercialization; market introduction; and SAP Digital. 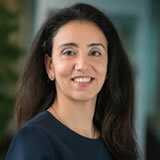 Hala serves as a member of the leadership teams of SAP’s executive board areas for Product & Innovation, Cloud Business, and Global Customer Operations. With SAP since 2001, Hala held previous senior leadership roles in Development, Solution Management, Marketing, and Consulting. 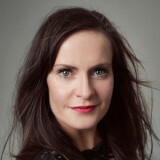 She has a BASc in Marketing and is based in Walldorf, Germany. Jim Lucier is a 25-year veteran of the business software industry. He is Chief Revenue Officer (Americas) and global Chief Services Officer of SAP Concur, the world’s leading provider of integrated travel and expense management services and solutions. As Chief Revenue Officer, Jim leads an organization of 1,300 and is responsible for enterprise, small and medium businesses sales and account management in the Americas region. As Chief Services Officer, Jim oversees 3,500 employees in 15 countries who are charged with implementation, support and advocacy for SAP Concur’s 40,000+ customers. 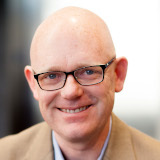 Jim joined Concur in 2008 as Vice President for Business Development. In 2011 he became General Manager of the Federal Government Business Unit. His previous industry experience includes senior leadership positions at JPMorgan Chase, Xign, Etensity and Gnossos Software. Jim holds a bachelor’s degree from Dartmouth College. He and his family live in McLean, VA.
also responsible for the integration of Callidus, Gigya, and CoreSystems into SAP. Prior to his current role, Alex was President of SAP Ariba, the world’s largest, most global business network. SAP CEO Bill McDermott and ran SAP’s China Growth Plan and Fast Growth Market business from Shanghai. the World Economic Forum. He lives with his wife and dogs in New York City. Dr. Markus Noga is Senior Vice President of Machine Learning. His vision is to enable the intelligent enterprise by making enterprise applications intelligent. Markus leads teams building machine learning applications and bringing machine learning services to the SAP Cloud Platform. They are based in Germany, France, Singapore, India, and the United States. Markus previously served SAP as VP for New Business & Portfolio, where he drove the launch of the HANA Enterprise Cloud and the continuous renewal of SAP’s global R&D portfolio. He also previously worked as a Director in the Corporate Strategy Group. Before joining SAP, Markus was a principal with management consultancy Booz & Company, now Strategy & PWC. He holds a PhD in Computer Science from University of Karlsruhe, now Karlsruhe Institute of Tech­nology, where he focused on the optimization of document processing. Markus is married with two young children. He lives in the Heidelberg area and enjoys running and astronomy. 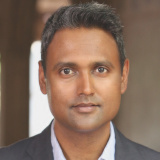 As the Chief Strategy Officer at SAP, Deepak Krishnamurthy leads SAP’s global corporate and innovation strategy and oversees its Customer and Market Insights function. Deepak is responsible for SAP’s open innovation initiative with SAP.iO, focused on venture investments and the acceleration of early stage startups through a network of accelerators in San Francisco, NYC, Berlin, Paris, and Tel Aviv. As a part of the open innovation initiative, he also oversees SAP’s B2B payments and financing business unit. In addition to driving strategic impact with the startup ecosystem, he leads SAP’s inclusive entrepreneurship initiatives aimed at empowering women and diverse founders to scale faster in the B2B software space. 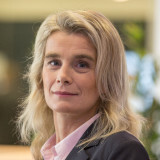 Elvira Wallis is the Senior Vice President and Global Head of the Internet of Things (IoT) at SAP. 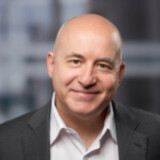 As Chief Innovation Officer, Eric and his team are responsible for delivering a seamless, integrated experience across the centers of excellence focused on industry and domain expertise, solution engineering, and advisory services dedicated to enterprise data, cybersecurity, and business value realization. He and his team believe that every customer deserves a high-quality, high-touch experience built on a foundation of empathy, business insight and differentiated value. Eric’s career at SAP began in 2001 and includes industry advisor, business development, sales and executive sales leadership roles spanning several national industries. More recently, he served as general manager of Financial Services, and then as chief of strategy for Global Accounts. Eric’s career at SAP has enabled him to work with some of the world’s most iconic companies, brands and organizations, including: Boeing, Nike, Microsoft, Southern California Edison, Verizon, Johns Hopkins University & Health System, and Chevron. Prior to joining SAP in 2001, Eric enjoyed a career in legislative affairs working both within, and in partnership with, the federal government on issues pertaining to finance policy. Eric has also held leadership roles, board advisory positions and director & officer positions with a series of early-and late-stage startups and public companies. Eric remains active in the venture capital and private equity communities, always focused on solutions that deliver great customer experiences. A graduate of Boston University’s School of Law, Eric is a licensed attorney and a member of the New York State and United States Supreme Court Bar Associations. He is a patron of the theater, particularly the Manhattan Theatre Club and Connecticut’s Westport Country Playhouse, and is active within New York City’s LGBT Center and Broadway Cares/Equity Fights AIDS. Eric and his husband, Neil, live in Westport, CT with their twins, Nicholas and Noelle. 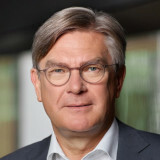 Gunther was appointed as Head of SAP Cloud Platform in January 2019. A seasoned leader with a future oriented, strategic mindset, Gunther has an impressive track record in development. He was a key influencer in defining and delivering the integration and orchestration portfolio of SAP, including cloud services like SAP Cloud Platform Integration. Gunther covers a broad topic portfolio, covering both on-premise products and cloud services. In addition to the integration portfolio, products like Workflow Services, SAP UI5 and Mobile Services have been developed under his leadership. Principles like Agile development, design-led innovation, DevOps and cloud engineering are essential parts of Gunther’s leadership approach. As Executive Vice President, Franz Faerber is responsible for SAP’s Big Data Portfolio. He is passionately leading the development organization focusing on large-scale distributed data integration, processing and management. Before joining SAP in 1994, Franz was a developer with IBM in Germany. In his first years at SAP he worked on 3rd party search engine integration. In 2000 he began working on SAP’s search engine TREX and later moved on to manage the SAP Business Warehouse Accelerator. This work laid the foundation for SAP HANA and its success. Franz took over SAP HANA Database development activities in 2009 and was instrumental for moving business-critical processes onto this platform. Franz has been recognized throughout his career for his technical expertise and leadership: including SAP Employee of the Year and Digital Star for his work with SAP HANA. Besides his professional success, Franz gained an excellent academic reputation – he authored several publications in leading research journals and regularly gives lectures at universities across the globe. Dr. Franz Faerber holds an engineering degree (Dipl. Ing. BA) from the Berufsakademie Stuttgart and an honorary doctorate title from Yeditepe University Istanbul. 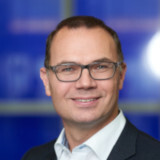 Gerrit Kazmaier is SVP, SAP Analytics and SAP Database and Data Management with global responsibility for the development, product management, and solution management of these portfolios of solutions. Gerrit is passionate about data and cloud technology, and how continuous innovation can create lasting business value for SAP customers. With the vision to develop a unified approach for a business intelligence, planning, and predictive analytics solution, Gerrit built the foundation for SAP Analytics Cloud and the SAP Digital Boardroom. 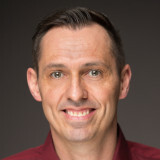 In 2018, Gerrit expanded his role to additionally cover SAP’s Database and Data Management organization, where he first began his career at SAP in 2009. As head of development, product management, and solution management for these two areas, he is responsible for building, innovating, and driving the market strategy for SAP’s flagship in-memory database platform SAP HANA as well as SAP’s Analytics solutions. 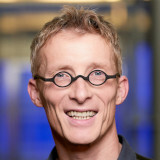 During his tenure at SAP, Gerrit has filed over 30 patents on technologies for analytical and spatial data processing. Together with his team, he also won the prestigious SAP Hasso Plattner Founders’ Award for their work on creating a high-performance spatial engine inside SAP HANA. Gerrit studied Computer Science at the University of Konstanz, Germany and the University of Nottingham, England. He enjoys spending his free time with his family, and is an avid endurance sportsman. 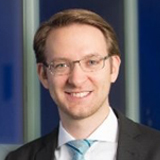 Andreas Heckmann is responsible for SAP’s Customer Success Services organization. With the vision to “Delight customers. Always.”, the team provides world class customer success services along the entire customer solution lifecycle. Customer Success Services is responsible for SAP’s end-to-end customer success functions, incl. SAP Enterprise Support, SAP Preferred Success and SAP’s flagship offering SAP MaxAttention. The team also delivers customer support, expert services and remote engineering services and is responsible for SAP’s Application Lifecycle Management (ALM) strategy. ALM products and tools developed by the team include SAP Solution Manager and Cloud Application Lifecycle Management. The Customer Interaction Centers, SAP Mission Control Centers, Mission-Critical Support, Global Partner Support as well as Support Portfolio Management, also fall under the responsibility of Customer Success Services. With around 5,000 experts worldwide, Customer Success Services is present around the globe with locations in Asia, Europe, Latin America and North America. 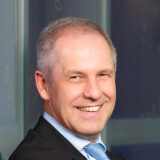 Andreas joined the company in 1999 and has held a succession of leadership roles at SAP, including regional and global management roles throughout North America, Europe and Asia. Responsibilities included Head of Support Delivery, Head of Product Support, Regional Services Head of SAP Greater China, SAP’s MaxAttention program, Head of SAP Support for Asia Pacific & Japan and Global SAP Alliance Management for a leading CPG company. Prior to SAP, Andreas ran his own IT consultancy business for Healthcare solutions in Germany. Maggie leads innovation services and solutions part of the SAP Digital Business Services organization, helping companies create and maximise business value through the use of intelligent technologies such as IoT, machine learning, AI, blockchain and predictive analytics. Maggie was recently named one of the world’s first Top 50 Edge Computing Influencers by Data Economy magazine, marking her commitment and contribution to innovation within the technology industry. She has significant experience building fast-growth digital businesses and previously led Digital Sales globally at Capgemini and Global Cloud Sales & Consulting for Fujitsu. Maggie is on the Companions Board of the Chartered Management Institute in the UK, and was the 2013 winner of the of ‘Women in the City’ technology category award in recognition of her achievements. She is also on the next generation committee at Leap, a charity that helps young people manage conflict. She is interested in topics such as customer experience, digital transformation, applied innovation, enterprise gamification, organisational culture and gender equality in business. She is a keen advocate of women in tech and supports initiatives aimed at inspiring young girls to pursue careers in STEM. She has two young children and is an avid fan of CrossFit and a novice horse-racing jockey. 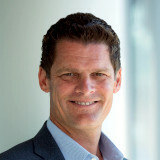 Michael Kleinemeier is a member of the SAP Executive Board of SAP SE. He leads the SAP Digital Business Services organization. He was appointed to the Executive Board on November 1, 2015. Kleinemeier has held various leadership positions at SAP. 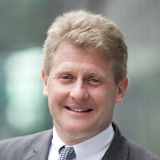 In 2013, he was appointed President of the region Middle and Eastern Europe (MEE), where he was responsible for all market activities and the entire SAP product portfolio in this region. From 2010 to 2012, he was Head of Global End-to-End Services. In this capacity, Kleinemeier was responsible for driving sales and market adoption of SAP’s latest solutions. In parallel he served as Head of the DACH region (Germany, Austria, and Switzerland). 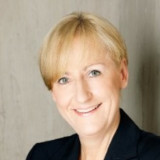 In 2007, Kleinemeier was appointed Head of Industry Solutions and Corporate Officer of SAP. 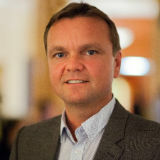 From 2001 to 2007, he was Managing Director of SAP Deutschland. During that time, he was also President of the former EMEA Central (DACH and the Benelux countries) sales region. From 1989 to 1999, he held key positions in sales, consulting, and training at SAP. From 1999 to 2001, Kleinemeier was Board member of itelligence AG, an SAP partner company. Kleinemeier holds a degree in commercial management from the University of Paderborn. Martin Mrugal is the head of SAP’s global customer success organization called Customer First. The team is focused on transforming the way SAP engages and cares for our customers throughout the entire lifecycle. Martin’s new organization brings together several cloud and on premise customer teams under one umbrella including Analytics and Innovation, SuccessFactors, SAP Cloud Platform, S/4 HANA Customer Engagement, Digital Supply Chain. 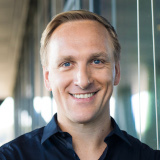 In his previous role as chief innovation officer, Martin Mrugal was responsible for SAP’s innovation agenda in North America including the Chief Customer Office, Solution Engineering, Industry and Value Advisory practices, and the Customer Center of Excellence (CoE) organizations. He was also the executive sponsor for SAP S/4HANA, leading the launch, customer adoption and success of SAP’s next generation computing platform in North America. Since joining SAP in 1998, Martin has held a number of diverse management and executive leadership roles. Prior to his current assignment, he was chief operating officer (COO) for cloud procurement and business networking at SAP Ariba. He has served as COO for global industry solutions, as global head of manufacturing industries and solutions business, and spent time on assignment for the SAP Executive Board working on a software development change management program. Prior to his Board assignment, Martin was national vice president and general manager, responsible for solutions and products for midsize companies. In this role, he directed the North America strategy, launch, and sales of SAP’s first SAAS solution. He also successfully led industry, presales, and product management teams in past roles. Before joining SAP, Martin spent 12 years at Consolidated Rail Corporation (Conrail), where he held a variety of roles of increasing responsibility in sales, marketing, finance, and supply chain strategy. During his tenure, he successfully started new lines of business, analyzed complex supply chains for industrial manufacturing companies, and developed new distribution strategies and facilities. Martin studied supply chain logistics, economics, and marketing as an undergraduate, and holds a master’s degree in business administration from Pennsylvania State University in State College, Pennsylvania. He completed SAP’s Global Leadership Development program at INSEAD in Fontainebleau, France and resides in Pennsylvania with his wife and two children. 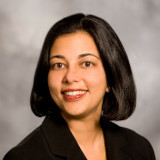 As President of Intelligent Enterprise Solutions & Industries, Mala Anand is responsible for industry and cross-LoB execution end-to-end for customer outcomes, success and impact. This will ensure SAP’s innovation and intelligent technologies is deeply embedded in our Suite, our solutions and our platform. 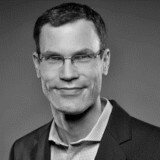 Jeff Harvey serves as Chief Operating Officer for SAP’s Intelligent Enterprise Solutions & Industries organizations. In this role, Jeff oversees the business globally, including business strategy, solution management, business development, marketing, sales, channels, customer experience, renewals and field enablement. Jeff has over 30 years of progressive experience in the technology arena, including sales management, implementation strategy and delivery, as well as regional, national and global management roles. Prior to his current position, Jeff served as the President of Strategic Industries for SAP North America. In this role, he was responsible for the overall business strategy and execution for SAP’s key industries including financial services, retail, and regulated industries, which encompassed utilities, federal government, state and local government, higher education and healthcare. In his prior position as Managing Director of the South region for SAP U.S., Jeff guided the market unit to become the top performer in the Americas in 2013. 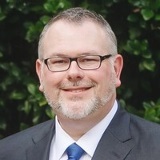 Since joining SAP in 2002, Jeff has held a series of executive leadership roles including Senior Vice President (SVP) of the Central region for SAP North America, SVP and Chief Customer Officer for North America, as well as SVP and General Manager for both the Midwest and Southeast regions of the U.S. Within these posts, Jeff built SAP’s market position by developing and executing sound go-to-market strategies and placing a high priority on customer success and satisfaction. As SVP of Emerging Industries globally, Jeff established the industry portfolio strategies for SAP’s financial services, health sciences, and public services practices, and drove go-to-market execution to help achieve market-share growth and customer success objectives. Prior to joining SAP, Jeff served as general manager of the national consulting practice for Systems & Computer Technology Corporation (later acquired by SunGard). He has also served in leadership positions with Accenture and was Chief Information Officer for Sandberg & Sikorski Corporation. Jeff holds a bachelor’s degree in operations management and information systems from Northern Illinois University. Jeff served eight years on the board of TechBridge, an Atlanta-based nonprofit that helps other nonprofits leverage technology to better serve the community, and currently serves as the National Co-Chair for Els for Autism at SAP. 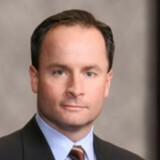 Mike Flannagan is Senior Vice President of Intelligent Enterprise Solutions at SAP. He is responsible for creating cross-LoB solutions that accelerate innovation to enable digital transformation for the world’s largest companies, and developing the ecosystem around the Intelligent Enterprise. Jennifer Morgan is responsible for SAP’s strategy, revenue, and customer success in the Americas and Asia Pacific Japan, encompassing more than 43,000 employees and nearly 230,000 customers. Jennifer was appointed to the SAP Executive Board in 2017, and, together with Adaire Fox-Martin, leads SAP’s Global Customer Operations. She is a principal driver of SAP’s growth and innovation strategies and works closely with SAP’s development and support leaders to ensure consistent execution of sales and customer operations in the more than 130 countries in which the company operates. Jennifer has served in several leadership roles for SAP since joining the company in 2004. 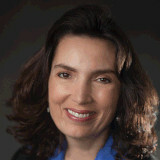 As head of SAP North America’s public sector organization, and later as president of its Regulated Industries business unit, she was a recognized thought-leader on government and public sector technology innovation, represented SAP to the U.S. Government, and testified before the United States Congress on technology and acquisition issues. Earlier in her career, Jennifer served in various management roles at Siebel Systems, and Accenture. Jennifer has been named one of Fortune Magazine’s Most Powerful Women in Business and by Forbes as one of the Most Powerful Women in the World and Technology. She is a proud graduate of the James Madison University in Harrisonburg, Virginia. 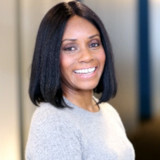 Jennifer serves on the Board of Directors of the Bank of New York Mellon, a global leader in investment management and investment services, as well as on the non-profit boards of the National Academy Foundation and the Board of Advisors at James Madison University’s College of Business. As Co-President SAP Industries, Peter Maier leads the definition and delivery of intelligent solutions that enable customers to sustainably optimize, extend, and transform their business and their organization. Peter also drives the SAP Roadmaps program that gives customers clear guidance to the intelligent suite and to the SAP digital platform. As Co-President SAP Industries, Lori Mitchell-Keller leads the global sales and partner go-to-market strategy and execution for all industries. She guides customers on their journey to become intelligent enterprises by creating new business models and enhancing the value of innovative technologies and solutions in the hands of their employees and customers. Bob Cummings is General Manager of SAP's Financial Services Industries. A 20-year SAP veteran, he co-founded the SAP industry business unit for Insurance which has led to the building out of an end-to-end Insurance suite. In his tenure at SAP, Bob has held a number of leadership roles in consulting, presales, development, and product management. Isabella Groegor-Cechowicz oversees SAP’s global Public Services business, including Public Sector, Postal, Defense & Security and Higher Education & Research. Together with her team, she is responsible for SAP’s success in this US$13 billion software market, ensuring a focus on customer value and setting strategic direction for the industry teams. 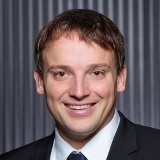 Stefan Krauss is General Manager of Manufacturing, Mining & Mobility Industries at SAP. Together with his team, Stefan helps customers to run, grow and transform their business networks to better serve their customers in a digitized world. Stefan has almost 30 years of experience in IT management, sales, consulting and product management. 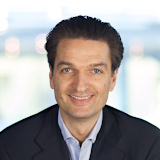 Eric van Rossum is SVP and GM Services Industries at SAP. Responsible for the global Services industry strategy, solution roadmaps, go to market activities. At SAP for 18 years in roles across corporate strategy, sales, consulting and support, Eric and his team help customers grow through intelligent transformation to better serve their customers.